From the active roster, there are seven Bruins set to become unrestricted free agents on July 1 including Chris Kelly, Brian Rolston, Gregory Campbell, Daniel Paille, Joe Corvo, Greg Zanon and Mike Mottau. Benoit Pouliot and Tuukka Rask are the team’s restricted free agents. While the defensive corps should remain solid with five of the six active starters returning next season, plus the expected arrival of Dougie Hamilton and potentially more opportunities for Torey Krug, it’s the offense that could see a bit of a makeover. With close to $9 million in cap space if all remains the same by July 1 (assuming Marc Savard continues to be on the LTIR), the Bruins will have to spend wisely to bulk-up the bottom-six forwards, a group that has been a strength of the Bruins’ in the past. To do this, the Bruins should be looking for serviceable players who could move up and down the lineup. It was the exact intention Chiarelli had when he signed Pouliot this past offseason. The Bruins won’t be bidders for marquee free agents such as Ryan Suter and Zach Parise, but should make more of a splash this year than in years’ past. Although Boston has three stud prospects, Ryan Spooner, Jared Knight and Alexander Khokhlachev, waiting in the wings, they’re not quite ready to make an impact on the B’s roster yet. The Bruins will need bottom-six players with one or two to have the potential to move into the top-six group, if necessary. Cap space is certainly issue, especially with many key contracts expiring next season. The B’s will most likely go after low-risk/high-reward types of players who would serve as placeholders, rather than marquee names that would change the make-up of the team’s roster. With the current situation as is for the Bruins, here’s a look at five free agent forwards that the Bruins should target. To me, Ray Whitney is in the Tomas Kaberle group of NHLers whose name always seems to be associated with rumors around the Bruins. 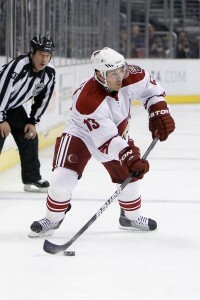 If the Phoenix Coyotes don’t re-sign him, the B’s should jump at the opportunity. Whitney is coming off of a dazzling year, putting up impressive numbers while playing in all 82-games. If the Bruins were ever going to replace a player like Mark Recchi, Whitney would be my pick to do so. Whitney would likely see an increase from his $3 million annual salary, but not an extreme bump. The 40-year old winger would probably be a fit on the third-line for the Bruins, with Pouliot being shuffled down to the fourth, but it wouldn’t be a surprise if Whitney lined up with Patrice Bergeron and Tyler Seguin, either. Plus, Whitney would be a god-send to the Bruins power-play since eight of his 24 goals came on the man-advantage. In a Bruins uniform, that would have tied him for most on the team alongside Zdeno Chara. 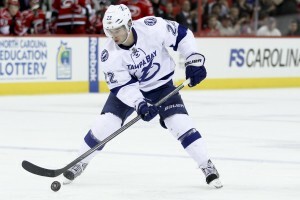 2011-12 playoffs: 10GP, 2G, 5A, 7PTS, +6. Yes, seriously. Dustin Penner may not be the marquee name out of the free agent pool this offseason, but he’s a big-bodied winger who could move up and down a lineup and play in different situations. Penner is coming off both his worst statistical year and the final year of a hideously gratuitous contract paying him $4.25 million annually. While his next contract won’t be anywhere near the same price tag, Penner may be a good pick-up for a team looking for a power-forward on the wing. Penner is, at this point, a third-line player–perhaps a second-line player when he’s at his very best. 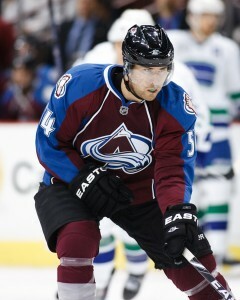 He’s capable of scoring 20+ goals when healthy and would fit in well playing alongside Rich Peverley on the third line. One thing that Chiarelli kept stressing during his end-of-season press conference was that the Bruins were had an apparent lack of size with Nathan Horton and Adam McQuaid out of the lineup. Though he’s not known for his physical presence, the 6’4″, 245 lb winger had 18 hits in 10 playoff games (three more than the B’s), which would have been good enough for fifth-most for Boston. David Jones is a unique player who is underrated around the league. Selected in the 9th round of an impressive 2003 draft class, Jones has put up 47 goals in the past two seasons (27 in 2010-11, 20 in 2011-12). He’s the type of versatile player who can beat you with his speed and use his large frame to win puck battles along the ice. Jones could be someone that the Bruins could utilize on the power-play and on the penalty-kill however, his performance in the past two seasons may indicate that a raise is due for the young winger. Jones is another example of a player that can shuffle up and down the Bruins lineup. While Chiarelli believes that Horton will make a full recovery, Jones could be an ideal right-winger that could come close to replacing the goal production from number 18. Jones will certainly be a hot commodity on the free agent market since he could be a team’s number two or number three right winger on the depth chart–an ideal secondary scorer. Colorado will certainly take a good look at how close they came to making the postseason when considering whether to bring back Jones and keep their young core intact for another try. It’s likely that one of Kelly or Campbell won’t be back with Boston for the 2012-13 season, meaning that a new center would be needed. One of the more reliable centers available on July 1 is Dominic Moore. Moore has been a bit of a journeyman, playing with seven different teams in the last four seasons alone. While his name has been synonymous with the trade deadline lately, Moore is a solid two-way center with a 55% winning percentage at the face-off dot. Able to play in both five-on-five and short-handed situations, Moore is also a season removed from scoring a career-high 18 goals when on the surprising 2010-11 Tampa Bay Lightning team that came a goal away from representing the Eastern Conference in the Stanley Cup Final. Realistically, Moore would be a viable replacement for Campbell, rather than Kelly. While Moore has shown off some of his offensive ability, it’s likely that he’d be better suited as a fourth-line center on the Bruins team. Moore wouldn’t be able to replace Campbell’s ability to drop the gloves but he would be a serviceable center for a team that needs to upgrade their dominance in the face-off dot. Perhaps the wildcard out of the bunch, on a deep team such as the Bruins, Ryan Shannon would mostly serve as the 12th or 13th forward and would be a mainstay on the fourth-line. Shannon could be a cheaper replacement for someone like Paille, but with Pouliot potentially re-signed and Jordan Caron and possibly other players looking to become permanent fixtures in the lineup, the speedy forward from Darien, Connecticut would have to earn his spot on Boston’s roster. Coming off an injury-plagued year, Shannon is the type of low-risk, high-reward player that Chiarelli values. While he may not be an every day player, Shannon has the ability to plug gaps in the lineup when holes emerge due to injuries. 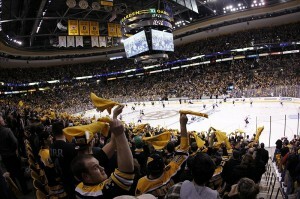 An inexpensive, one-year contract might be worth a try for the Bruins. Given the other options on the free agent market, Shannon may be the most unlikely of the five profiled, but also could be the most realistic.